Rosewood box highlighted with brass accents. Centerpiece is a brass duck or pheasant. India, 4 by 7 by 1.5 inches. From a Beverly Hills estate. 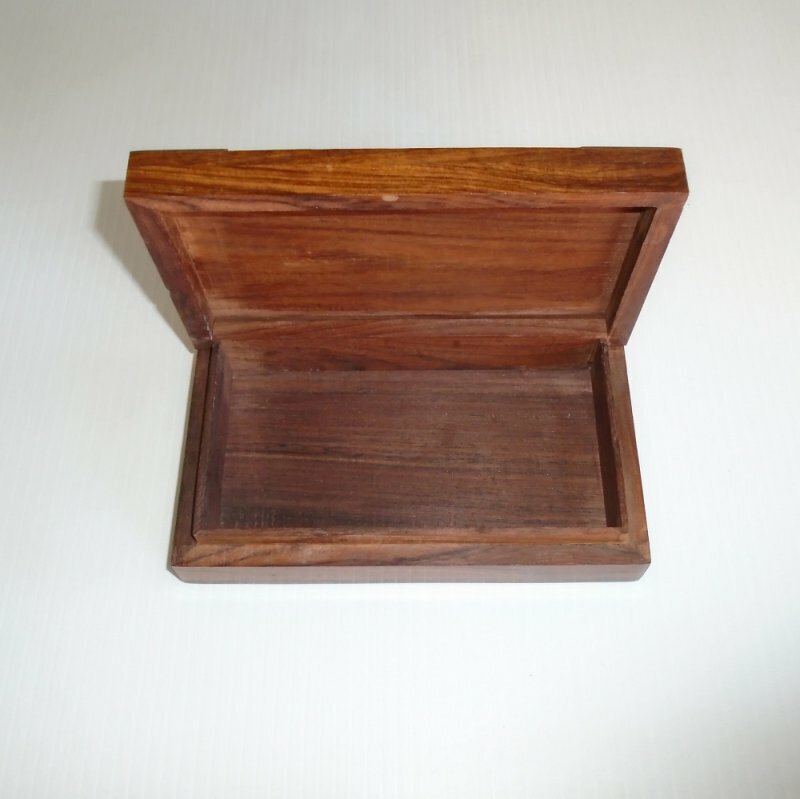 This wood box measures 4 inches front to back, 7 inches side to side, and 1.5 inches top to bottom. It is made of Rosewood. 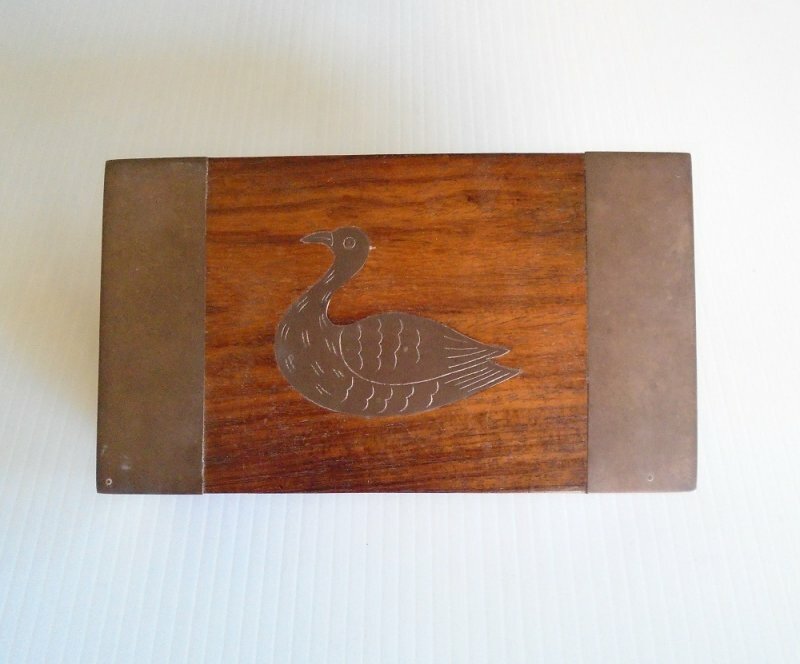 Each side of the lid has a 1.25 inch strip of brass and in the center is either a brass duck or possibly a pheasant. There is a sticker on the bottom that reads "Marketed by Vaishali International India". It came from my mother-in-laws estate in Beverly Hills. Family members are in agreement that they've seen it around since the late 1950s to early 1960s. It was kept in a dresser drawer and used for misc items such as jewelry etc. It's in great condition, but does need to be polished. Buyer to pay USPS Priority Flat Rate delivery charges of $7.95. Delivery is from California.